Encouraging customers to go in the desired direction is at the center of every email marketing campaign. The more successful your strategy, the more likely it is that your company will experience growth. In order to develop an effective campaign, you should embrace the following essential tips to optimize your marketing objectives. Once your email recipient signs up on one of your social media outlets or responds to an email that you’ve sent, you should send a new personalized message. The feedback that you provide is critical in firming up the connection in order to promote an ongoing relationship. Most importantly, make sure that you thank the individual for contacting you. Your third email should provide an opportunity for you to cement the relationship between the individual and your business. Consider asking the person to join your family of customers by signing up to complete a survey, sign up for a free trial, or join a secondary email list for tips and/or discount coupons. One of the best ways to keep communication lines open is to follow up your initial flurry of emails with a few messages that provide concrete details about how your company can provide value. Everyone loves to hear the latest tip on how to do “this” or how to accomplish “that.” If you want to keep your potential customers interested, give them something useful to read. A critical component of any successful onboarding email campaign is to automate them. It saves time and eliminates the possibility of overlooking the timeline for sending messages out to potential customers. Sending emails to get the attention of potential customers is a useful idea. What makes it successful is the effort and thought that you put into it. In order to create positive results, you should craft a friendly welcoming email that offers the chance to firm up the relationship by connecting online or signing up for something. Send a follow-up email that offers a more personalized approach than the initial message. Re-engage your email recipients with additional emails describing what it is that your company does. Include helpful tips and suggestions to keep your readers coming back. Finally, don’t forget to automate your email campaign to ensure a steady cadence. Learn how to increase engagement. 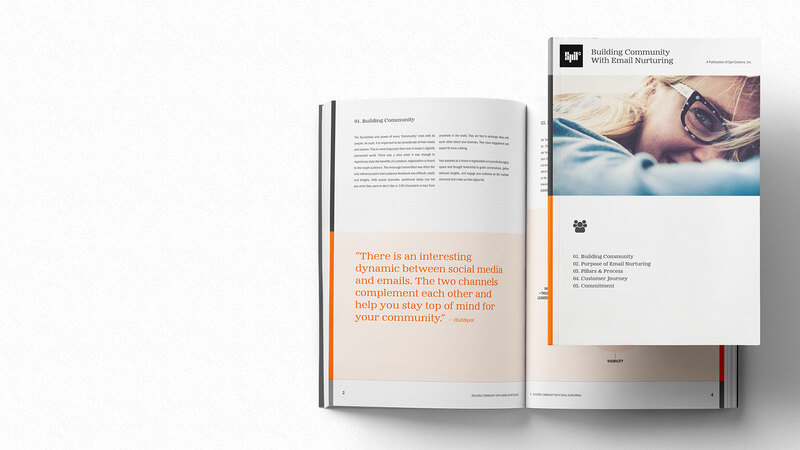 Download our free guide "Building Community With Email Nurturing."